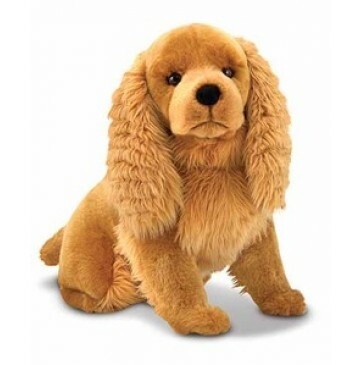 Soft and furry, Cocker Spaniel Your new best friend awaits adoption. A lot to love! With wonderful breed-specific detailing, these well-behaved doggies are looking for a loving home. Our adorable Melissa & Doug plush dogs are truly a kid's best friend.